Join us for an uplifting evening of story, reflection, and song. 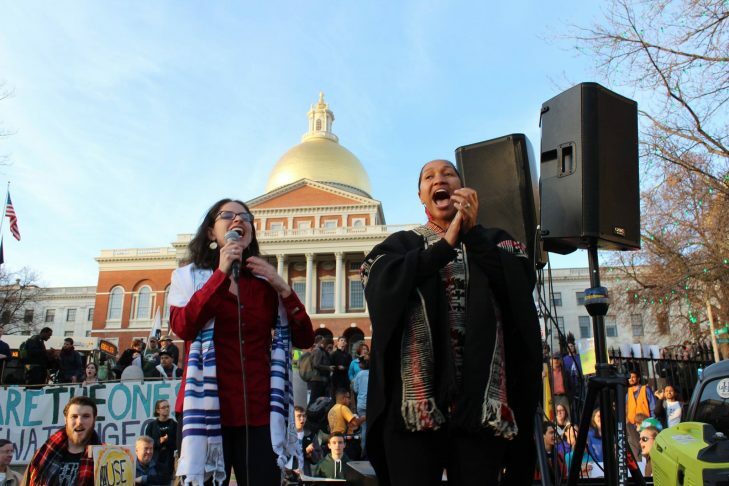 Three inspirational spiritual leaders – Rabbi Shoshana Friedman, Rev. Mariama White-Hammond and Rev. Fred Small – all who champion the cause of social justice through their song, will reflect on the significance of music in their own spiritual lives and in their work for climate justice. Their voices will uplift and empower each of us to continue the important work of healing our broken world. This event is made possible with the support of The Rita J and Stanley H. Kaplan Family Foundation.